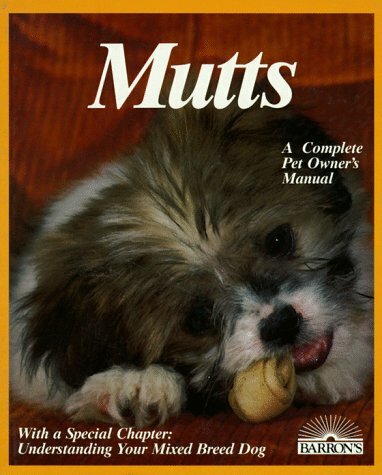 All About Your Pets books are brief, attractive, inexpensively priced manuals that teach inexperienced adults and older children to be responsible in the ownership and care of animals. Books are filled with full-color photos and illustrations, and feature short, entertaining "Did You Know?" sidebars that offer unusual facts about each book's subject animal. Inexperienced pet owners learn how to handle an animal without harming it, and receive sound information on nutritive feeding, caging, health maintenance, accident prevention, and first-aid measures to take when an emergency arises. All About Your Pets volumes are nicely illustrated and clearly written introductions to the joys of pet ownership. They are a great value for anybody seeking solid basic information and instruction at an affordable price. 33 pgs. 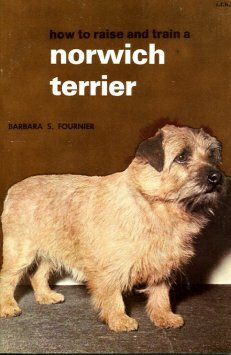 This is a book for pet owner, novice fancier and veteran alike. 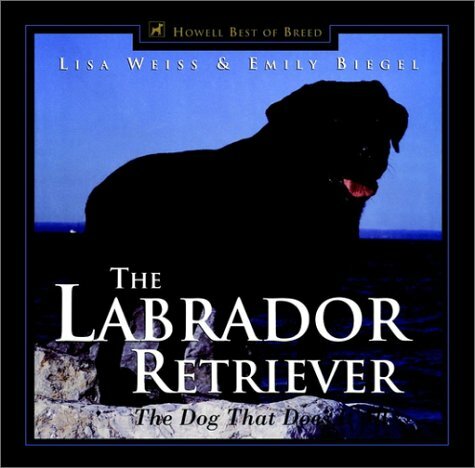 Learn all about America's favorite breed: their personality, color, temperment, their history, standards, finding the right dog, living with labs, basic care, their coat, keeping it healthy, showing, obedience trials, performance events, breeding, special care for the older lab, dogs & the law, the labrador retriever club, & labs that serve. 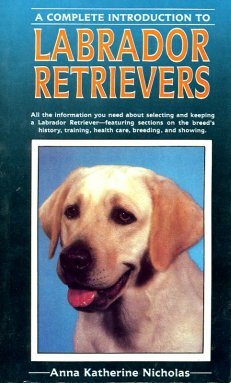 Includes appendices on resources, titles labs can earn, recent national specialty winners, theie standard through history & important pedigrees. Color photos. 239 pgs. 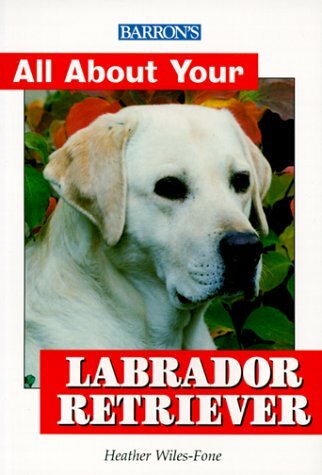 All the information you need about selecting & keeping a Lab - featuring sections on the breed's history, training, health care, breeding, & showing. Color photos. 126 pgs. 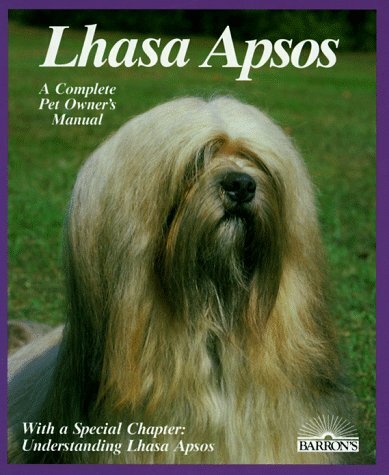 Your new dog, crates, doghouses, traveling with, diet, grooming, general care, disease prevention, parasites, emergency care & first aid, behavior, training, breeding, understanding Lhasa Apsos. 72 pgs. 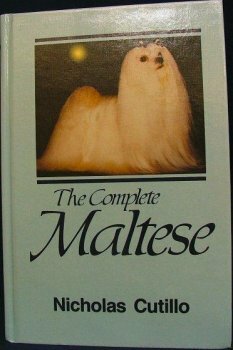 Chapters on: Origins, In America 1869-1979, in America into the 1980s, the Maltese around the world, the official AKC standard for the Maltese, selecting a Maltese, grooming, showing, training, obedience training, and a history of the American Maltese association and its specialty shows. B/W photos. 351 pgs. History of the breed, standards, owning & caring for, the puppy, obedience, breeding, care of the mother & the new family, general health care, dog show competition, building a kennel & exercise runs, grooming. B/W photos & illustrations. 125 pgs. The book is broken down into three sections. Section I - Past & Present covers: standards, origin, American producing lines, the breed in Great Britain, Canada, Bermuda, Mexico, South America, Pacific, Asia, Africa, at work, and trimming & grooming for home or show. Section II - Genetics & Breeding covers: general info on genetics, practical application of genetics, breeding problems & solutions, color inheritance, and puppy & litter size. 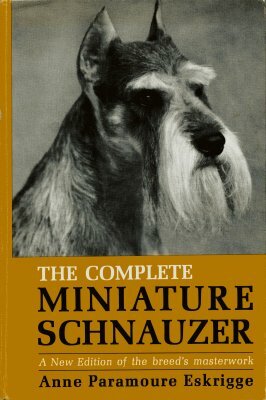 Section III - all about the Black Miniature Schnauzer. Over 175 B/W photos. 384 pgs. Choosing, feeding, grooming, training, handling, showing, first aid, common illnesses, breeding & genetics. B/W & Color photos. 64 pgs. This guide fills you in on their needs and attributes. Covering: The history and traits of the breed; How to select your pet; Things you'll need to make your pup feel at home; Feeding, exercise, training, and healthcare; Grooming the double coat and the characteristic bushy beard, mustache, and eyebrows. Color photos. 144 pgs. History of the breed, characteristics, choosing a dog, grooming, diet, health, training, breeding, showing. Color photos. 64 pgs. Happy, Healthy Pet guides focus on different kinds of pets, the emphasis remains on making the pet a companion. In addition, owners of more unusual pets will particularly appreciate the expert advice in these books because professional care for their animals may be difficult to come by. As always, the instruction is from experts. 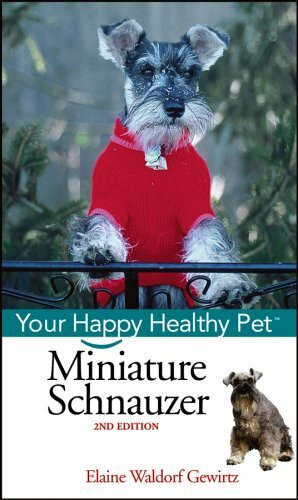 Chapters: Choosing a canine companion, feeding, grooming, regular health care, and more. An entertaining, illustrated guide to the world's most famous underdog. 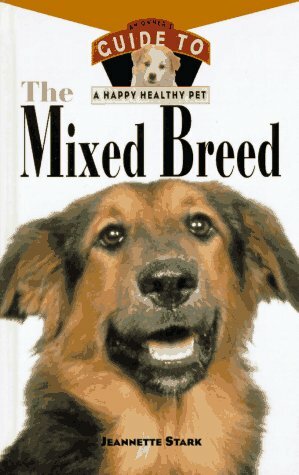 Read about mutt ancestry, lore, origins, how to find a good mutt, how to train it, what to feed, how to travel with it, how to deal with psychological problems, how to stop a dogfight, how to organize a mutt show, what to do about a dog bite, how to cope with kid-dog relationships, the neuter-spay controversy, pregnancy, birth, ticks, fleas, vets, procuts, services, and much more. Cute illustrations, B/W photos. 287 pgs. Selection, care, nutrition, breeding, diseases, understanding mixed breeds. 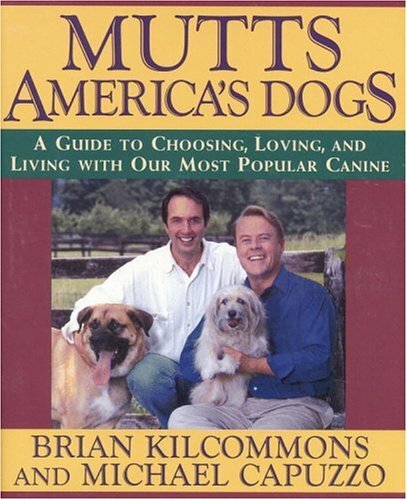 The only complete guide to the #1 dog in America, the mutt -- including heartwarming personal stories from the #1 expert on dog training and care, Brian Kilcommons, author of Good Owners, Great Dogs and Pulitzer Prize-nominated writer Michael Capuzzo. This is a guide to choosing, loving, & living with out most popular canine. B/W Photos. 213 pgs. A year in the life of one Newf litter & in the lives of other newfs. 162 pgs. 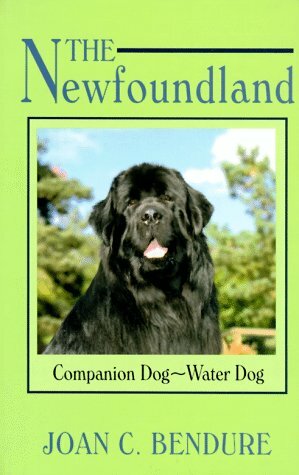 This exhaustive study of the Newfoundland provides the standard, history, and care essentials, as well as the breed's record in the show ring and in competitive water trials. B/W photos. 242 pgs. 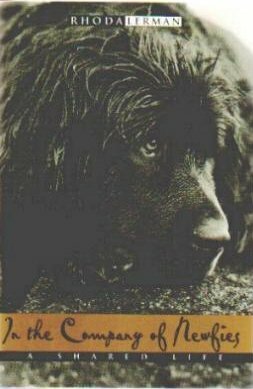 In this celebration of Newfoundland dogs, the reader will meet gentle giants who perform heroic deeds, teach valuable lessons, flirt with stardom, elicit smiles, and tug on heartstrings. The stories are first-person anecdotes, which were collected from Newfy people in many parts of the world. Individually, they sparkle. Collectively, they glow. 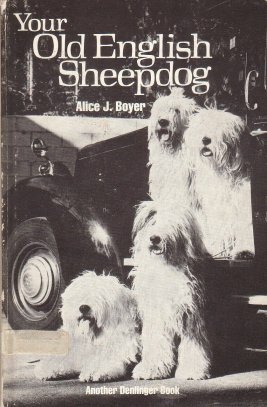 Everyone who has ever experienced, or longs to experience, a special relationship with an animal will cherish this book. Newfoundland Health Challenge, a non-profit, tax-deductible trust run by the Newfoundland Club of America, funds various scientific research into Newfoundland health problems. Newfoundland Health Challenge will receive 90% of the profits from this book. 211 pgs. History, origin, description, temperment, breed requirments, grooming, the new puppy, housebreaking, training, breeding, care of mother & family, health, showing. B/W photos. 64 pgs. 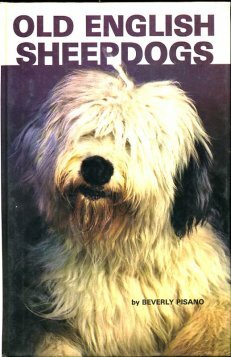 Practical advice to all those interested in the Old English Sheepdog - includes choosing a puppy, exercise & kennel routine, grooming, showing, breeding, feeding, training, common diseases & ailments, bobtails in America. 136 pgs. History, description and standards of the breed; grooming; the new puppy; training; breeding; care of mother and puppies; health; showing. B/W photos. 64 pgs. 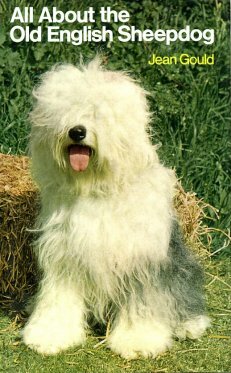 History of the old english sheepdog, choosing a sheepdog, good behavior, feeding, grooming, training, health, first aid, life span. Color photos. 64 pgs. 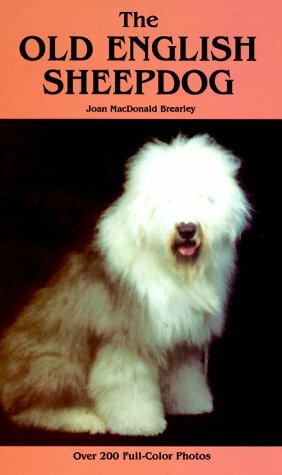 The author, an experienced dog writer, exhibitor and breeder, here provides a comprehensive volume on the Old English Sheepdog. This informative and easy-to-use text is accompanied by over 200 full-color photos as well as numerous black and white pictures. 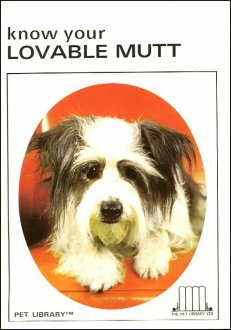 Contains history, in Great Britain & America, leading kennels, the breed Standard, obedience, grooming, showing, breeding, nutrition, dog shows and much, much more. Over 200 color & B/W photos. 320 pgs. Contents: history of the OES, description & standard, personality, the puppy, obedience training, breeding, care of mother & new family, general health care, dog show competition, building a kennel & runs, & grooming. B/W phtos. 125 pgs. 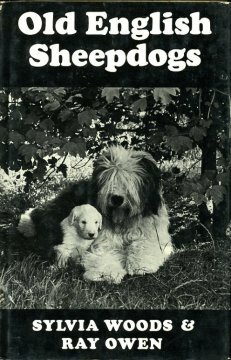 Chapters cover: selecting a puppy, standards, grooming for show, grooming the family dog, maintaining the dog's health, history of the Genus Canis, early history of the Old English Sheepdog, in the US, pillars of the breed, recent American Old English Sheepdogs of note, as a working dog, personality, manners for the family dog, show competition, genetics, breeding & whelping. B/W photos & illustrations. 160 pgs. 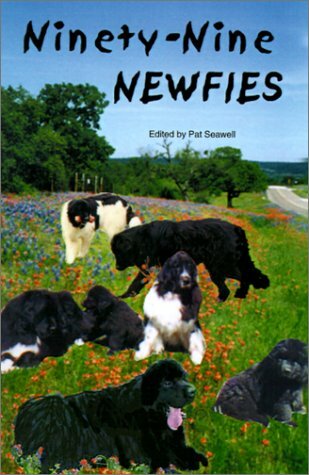 Chapters on: History, grooming, care & training, breeding, health, showing, new puppy, and more. 64 pgs.